Summer is in full swing, and one of our favorite summer treats is watermelon! We love biting into the juicy flesh. We love watermelon seed spitting contests. We love scooping watermelon out of its rind. 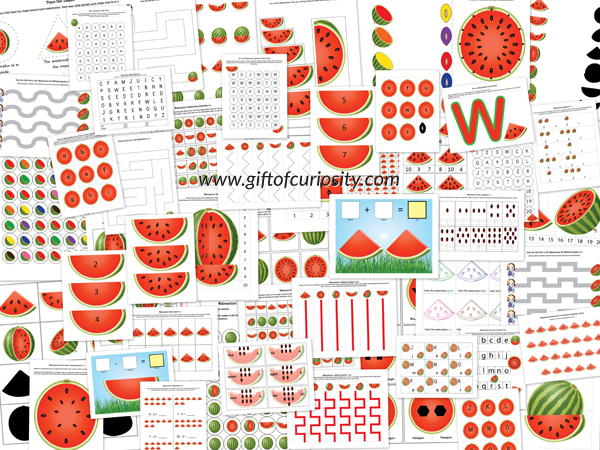 So to celebrate the juicy deliciousness that is watermelon, I’m releasing a Watermelon Printables Pack that is now available for download. Note: For more printables, see my Educational Printables page. We are actually growing our own watermelon plant in our small garden this year. The plant has grown big, but has yet to flower or produce any watermelons. We are keeping our fingers crossed though! 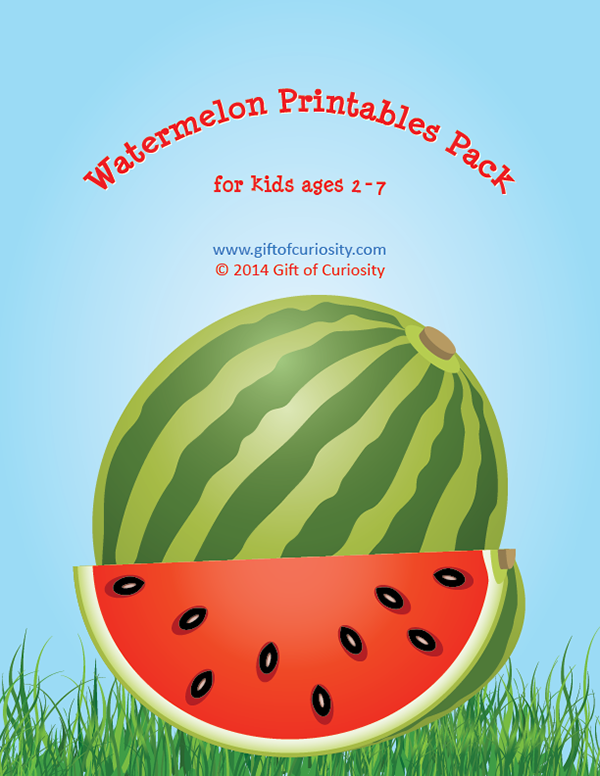 My Watermelon Printables Pack contains 73 watermelon worksheets and activities for kids ages 2 to 7. This pack is a great way for kids to practice basic skills while also dreaming of this luscious, red, summer fruit. Here is a look at some of the activities my kids have enjoyed so far. . . I started them with some fine motor practice. XGirl practiced tracing the lines to help the girl get to the watermelon. I put the worksheet in her Crayola Dry Erase Activity Center so she could do it more than once. I also gave XGirl this maze to work on. QBoy also worked on a maze, but due to his developmental level I gave him a more complex maze than I gave XGirl. 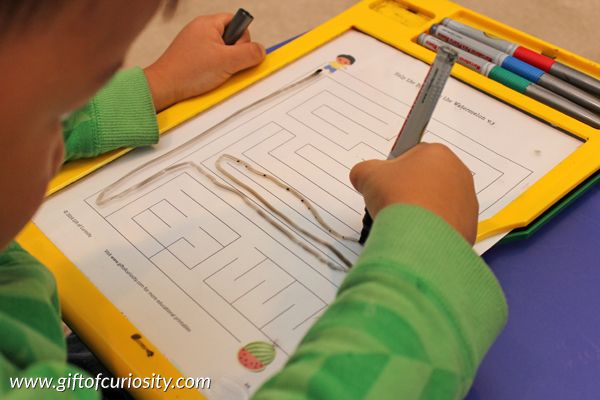 Nonethelss, I had him complete the maze using his Crayola Dry Erase Activity Center so that I could later give the worksheet to XGirl to use. I am working really hard with XGirl on number identification. She can recognize numbers 0, 1, 2, and 3, but still struggles with numbers 4 and beyond. 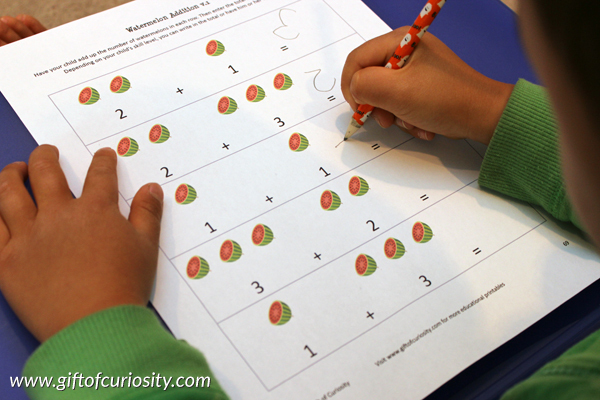 I used this watermelon puzzle as one tool to assist with this task. 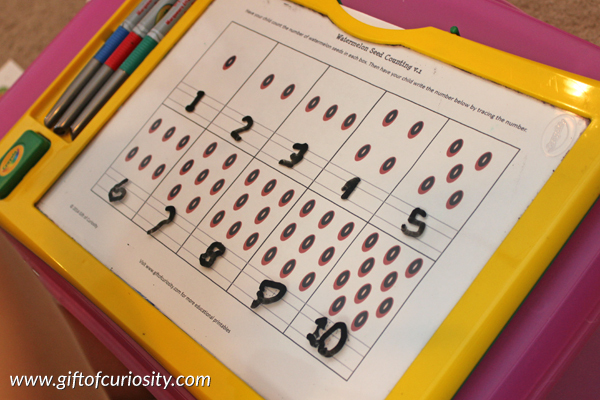 QBoy is already working on simple addition. He had little difficulty finding the sum for each of these problems, although he does need more practice with writing his numbers. This was XGirl’s favorite activity so far. 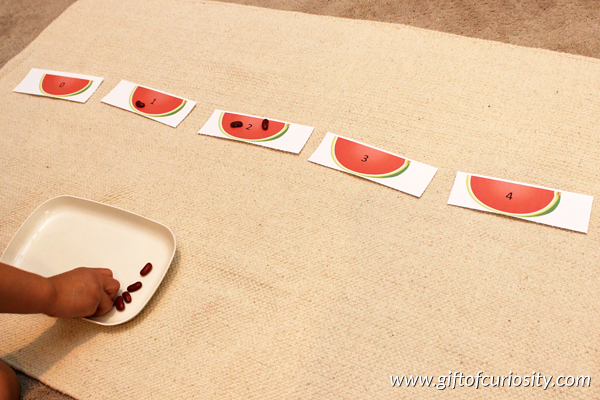 She had to count the seeds in each box and then trace the number below. She felt so grown up getting to write “real” numbers that she did this activity several times, using a different color marker each time. 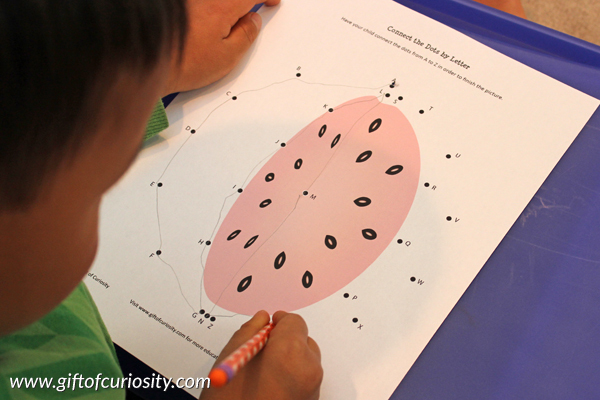 QBoy still really enjoys my alphabet connect the dots printables, so I had him work on this one to create a drawing of a watermelon with a piece sliced out of it. 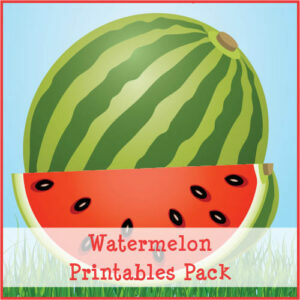 Want a copy of my Watermelon Printables Pack? Love your pack! So colourful and so many activities too. And I have never seen that dry eraser thing before but it looks amazing so I’m off to investigate. 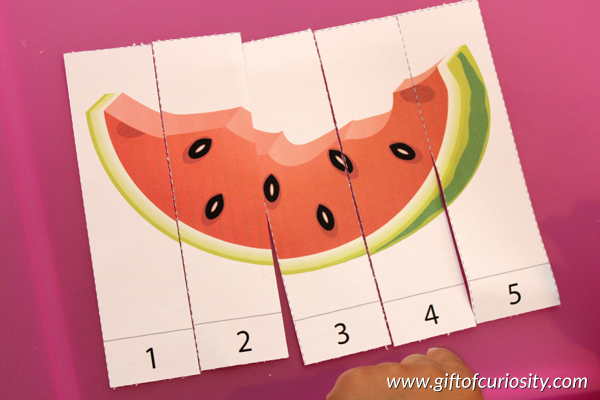 Love the ‘Watermelon’ printables. I was looking for some activities to use in my preschool class this week. The kiddos will enjoy them. 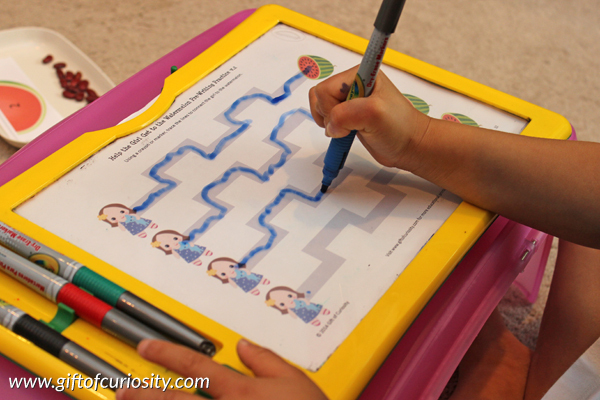 I need to look for the Crayola Dry Erase Activity Center as well, awesome idea AND cheaper than laminating everything!! 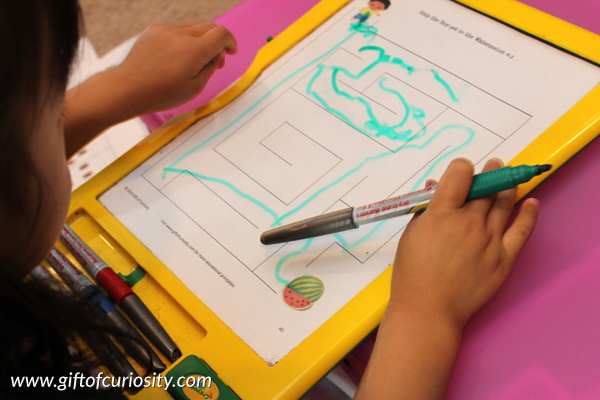 I agree, the Crayola Dry Erase is cheaper AND it saves times! I miss having littles to do these types of activities with. I’m featuring this post on my Hearts for Home post this week. I’m featuring this post as one of my favorites this week on the Hearts for Home Blog Hop. Thanks for linking up! This is amazing, thank you. Am featuring it on my Kids Co-op post.